According to some sources, there are places in the world where an AK-47 fetches the meager sum of a single chicken. Before you empty out your coop in preparation for what would be an extremely lucrative arms deal, consider the kinds of places where a rifle could cost so little. Are they really where you’d like to squander your precious vacation time? We recommend instead that you visit Daytona Beach. NASCAR, beautiful boardwalks, and childhood home of renowned third baseman Chipper Jones -- it’s a much nicer place to spend a week! 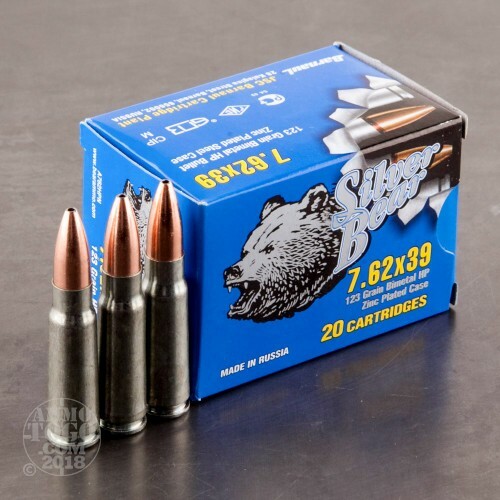 An AK-47 might cost a good amount here in America, but its ammo certainly doesn’t have to if you invest in Silver Bear. 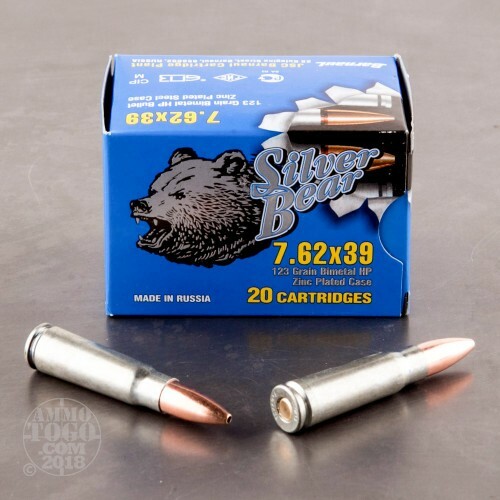 This 7.62x39 cartridge is manufactured at the Barnaul Cartridge Plant, and features the cost-effective steel casing that Russia is so well known for. 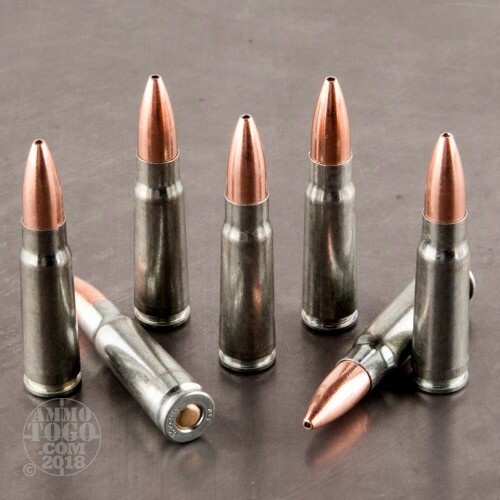 The casing is plated in nickel, which not only improves its ability to shrug off the effects of corrosion, but further facilitates feeding and ejection in a Kalashnikov. 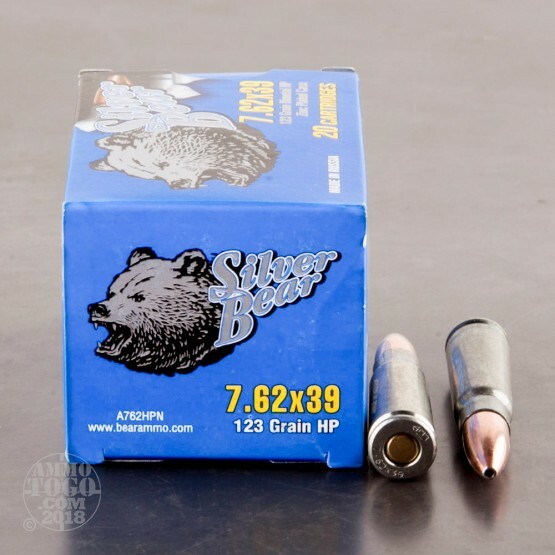 The round’s 123 grain projectile is the same weight as the original Soviet M43 bullet, and is also a hollow point so that it will effectively expand within soft targets. This round’s Berdan primer is non-corrosive, so it’ll treat your action and bore gently and sit contentedly for a long time before you’re ready to ignite it.